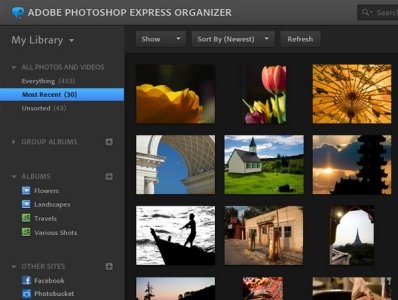 "While registering for a free Photoshop.com account is a requirement for storing photos online, creating and sharing galleries and albums, the Photoshop Express Editor no longer requires registration, which means the online editor is available to anyone who visits Photoshop.com. The Editor also now supports the ability to upload directly from a hard drive, apply edits, filters and effects and save the results back to the hard drive, without ever replacing the original." The bread and butter of Adobe is not sitting still in this technological landscape. Web applications is what everyone is into, and while Photoshop.com has been around for a while, it has been updated, and without registration, it is open to everyone! Of course, the features supported by Photoshop Express Editor is not in the same league with its old grand-daddy, but still quite handy for those who want an easy way to do touch-ups and have Flash on their computer. While I personally prefer to tools and responsiveness of an installed program, after trying out Express for a while, I can see this fitting the needs of a casual user. Anyone sold on Photoshop.com?